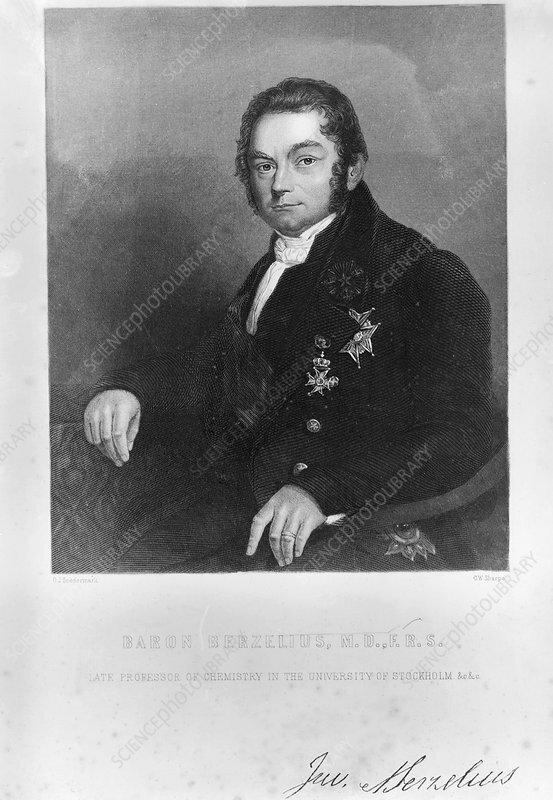 Jons Jacob Berzelius, Swedish chemist, early 19th century. Berzelius devised the first consistently accurate method of using the oxidation technique developed by Joseph Louis Gay-Lussac and Louis Jacques Thenard; a technique which allowed surveys of organic composition to be made. His accurate determination of atomic weights established the laws of combination and John Dalton's atomic theory. He introduced modern chemical symbols and discovered the elements selenium, thorium and cerium.